Q: What is the root cause of our suffering? A: Ignorance. And the depth of our identification with that what is impermanent. When our identification is with our soul, there is no suffering. Q: What is the easiest and most powerful mantra that you could recommend for daily chanting? 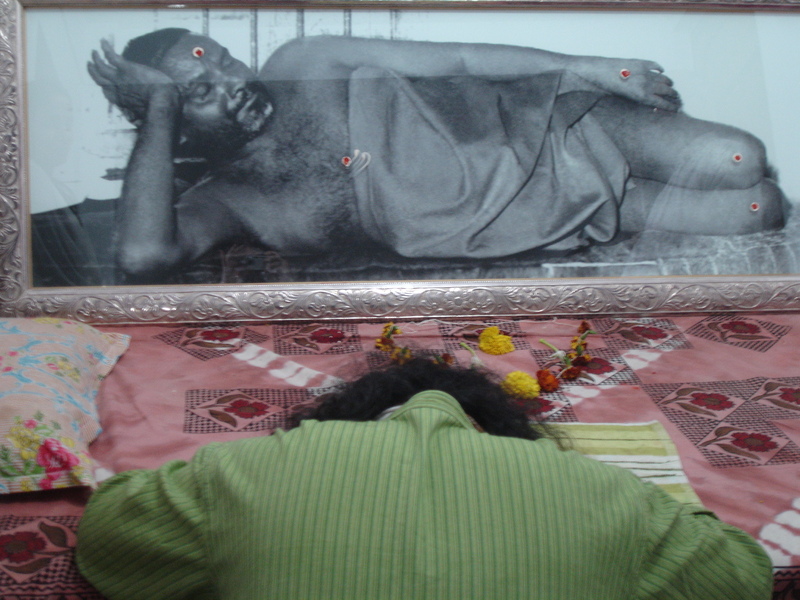 A: Aum Namah Shivaaya, Aum Namo Bhagawathe Vaasudevaaya or Aum Sai Ram. These are all powerful mantras. It helps one in detachment. A: Simplicity and Unconditionality. Faith and Patience. LIBERATION from everything, including name, form and karma. A: Spontaneous and effortless shedding of habits that you could not have lived without, otherwise. The wisdom behind the shedding itself is a confirmation of personal spiritual evolution. Gurus will happen in life automatically and guide further. As I mentioned earlier, Guru is a principle. It could take mouth and talk, or it could come as a message from the nature. The bottom line is, Guru happens in life, when you need him the most. A: Brightness is our true nature. Darkness exists only in our mind. Enlightenment removes all darkness. There are no more ambiguities or assumptions. Everything is brighter than the daylight. Everything is bright and clear. An enlightened person operates on clarity beyond the comprehension of our limited intellect. Brahma Gyan is deep awareness and not understandable using our buddhi or limited intellect. Q: Is Shaivic path different from Vishnu’s path? A: No. Brahma, Vishnu and Shiva are all aspects of the same God supreme.They represent three different aspects of existence. Jesus and Buddha are one. Krishna and Rama are one. Zoroashtra and Mahaavir are one. Parabrahma, Father and Allah are one. You and I are one. Beyond every form is the one God. Just like you can wear only the dress that suits you, your chosen path should be suitable for you. Then, destination is reachable. Otherwise, detours are inevitable. Q: Mohanji, why do you attribute everything to past masters? You had spoken about ownership. Isn’t this against it? A: This is our tradition. Even the Great Lord Krishna says “Thus spake the masters”. 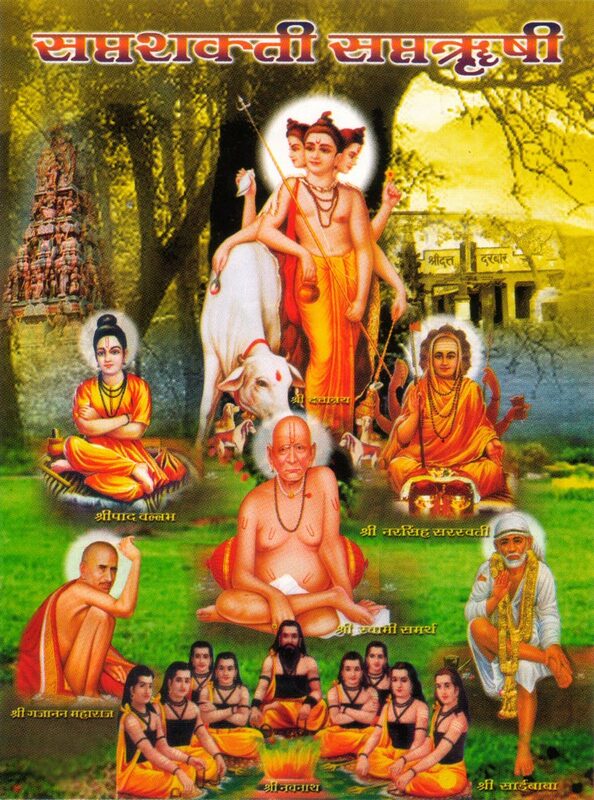 Traditionally, we respect and revere our Gurus, the stream of masters who transfered wisdom to people over generations. They have said everything. If you look deeper, we know, everything started from Lord Shiva – “Sadashiva Samaarambha”. The Guru principle eternally flows. So, how can I take ownership? I am only one of the mouths of the eternity. Since I am following the tradition of Great Masters, I attribute everything to the Past Great Masters who delivered everything. None of the past masters took ownership of the eternal truth or knowledge. Shirdi Sai Bhagawan always said “Allah Malik”. So, none of the existing Gurus can own anything that they are teaching. They all are part of the tradition of masters. Please understand this clearly. If some Guru says “I invented this”, understand that he lacks depth and clarity. Humility and gratitude is automatic when enlightenment happens. Spiritual evolution makes people humble, because it is a path of nullification, dissolution. The context where I said “own your experiences” is different. This means, when you have profound spiritual experiences, during meditation or in the company of masters, do own them, nourish them, cherish them. They are your own. That is the point from where you will grow. Mind may have some ideas, borrowed from others. That might hinder your progress by asking you to ignore your own experience and believe in someone else’s. That is a fundamental mistake. We are not another person. His experience is unique to himself. You are yourself. Your experience is unique to yourself. OWN THAT. Be proud of that. Start your journey from that point. You will evolve higher and higher. Information is in the air. When your antenna develops the capacity to de-code information that you are eligible for, you will automatically receive them. The guru principle will make sure of that. So, no need to worry. Own your own experience and be proud to talk about it. Do not worry about others who might ridicule you. They are doing so, because your consciousness is unique to yourself and others cannot see what you see. Believe in yourself – Your SELF. A: Shirdi Sai Baba has enlightened many. Adi Shankaraacharya, Buddha, Ramana Maharshi and Bhagawan Nithyananda have also enlightened many. By just following Guru’s instruction, by just surrendering to the will and instruction of the Guru, by just serving the Guru without expectations, people have attained enlightenment. Faith is the key here. Faith can take us to the highest. Complete and perfect surrender to the sadguru, making Him the main object of worship, obeying His words to its fullest, disciples can cut out the weeds of uncertainty and attain supreme bliss. All sadgurus test their disciples to make sure that they have attained the right eligibility for receiving the highest. Faith, Surrender and Patience mature a disciple and help his elevation. The Guru takes care of his well being. Q: Who is your Guru? A: I have many Gurus. I am guided by both Dattatreya Tradition and Kriya Yoga Tradition Masters. I am one with all of them. That is why many people have seen different masters working through me. I am an empty pot that gets filled in by any master who is relevant and appropriate for that situation. This mind and intellect stays in surrender to the Maha Guru, our very existence. Appropriate knowledge flows at the appropriate time. Shirdi Sai speaks to me. Mahavatar Babaji has spoken to me. It is not like me speaking to another person. It is like me speaking to myself. They are all within my consciousness. When we speak to an external entity, there is duality. Here, I do not exist and my consciousness contains all Gurus. The wisdom is the same. The information is the same. Those who are connected to me also experience my consciousness. All those whom I have touched are also within my consciousness. They are one with me and in that way, one with all the Gurus of the universe. We all are one. There cannot be any duality. Guru is a principle and that principle does its dharma without fail. It operates through many mouths. All mouths represent the same principle. All are one. Hence, in that context, my existence is in service to the Guru Principle. I am THAT. I am Everything and I am Nothing. I am like a mirror. I mirror the people or the Masters who come in contact with me. I do not have any particular identity. What you see is unreal. I do not exist. Q: I do not know anything…each day this feeling is increasing. Please help. A: You are on the right track. The moment you feel “I Know”, you stop growing. Your spiritual evolution stops there. The more you feel “I do not know”, your ego is at check. Your ego is not over-powering your spirituality. The tallest of all ego is the spiritual ego. It traps a seeker in illusion. Knowledge is an illusion. Maya. The more we feel we know, the more the ego will grow. The more we feel insignificant, which of course is the truth, the more we grow. Sooner or later, we have to shed everything. This includes all our identities, such as name, fame, position, tradition, path – everything. So, nullification has to happen and that means liberation. If we live liberated from everything, including ego, our transit to the higher will become effortless. We will live a life of unconditionality. A: Food that does not contain animal products. Food that is natural. Vegetarian. I avoid milk and milk products too – as much as possible. A: Randomly. I do not consume cheese with rennet. I look for the sign “No Rennet Added” on the bottle or packet of the cheese. Q: Plants also have life. Isn’t it same as animal life? So, what is the difference between animal food and vegetables? A: Our tradition has taught us that in order to maintain our food sheath, that is our body, we need to consume similar material. This means gross food. Animals need to die for us to consume their body. Plants need not die to share their fruits with us. This is the difference. Vegetables are grown on plants almost like nails are grown on our fingers and toes. They grow and fall off. Their fall does not hurt us nor does it make any change in our life. Plants do not suffer excruciating pain and fear when we pluck a mango or tomato from the mother plant. Animals feel deep pain and tremendous fear when they are killed. A food item is good for our system as long as procurement of it does not amount to destruction. If the food is based on non-violence, our food sheath will remain pure and energetic. Remember, this body has consumed tons of food and liters of liquid until this moment. It needs more. If we are conscious about our consumption, we will not waste food. We will respect the objects that we consume for the maintenance of our food sheath. Violence always contaminates us, in some level. Food consumed with respect and as an offering to our existence always goes in as a blessing. That will certainly help us in our spiritual evolution. Q: Do you like incense and perfume? Is it spiritual? A: Yes. I do. I love perfumes and all other materials that produce fragrance, including the first rain of the season that brings fragrance of the freshly drenched earth. Every object on earth is spiritual. Our attitude towards it makes the difference. If we handle any object with gratitude, it becomes spiritual. We will not be taking anything for granted. Respect towards any object means self-respect too. So, it is important to maintain the right attitude and respect. The world will express the same towards you. We are free to use any material on earth if our handling it does not mean torture, killing or violence of any kind. If our attitude is that of love and gratitude, everything will add to our progress. When our dependency on any object is minimal, liberation from the birth – death cycle is easier. Q: What attracts people to a spiritual Guru? A: Their need for spiritual evolution. Q: What ensures spiritual evolution? A: Faith, Concentration, Devotion and Patience. Q: What do you deliver to those who come to you? Q: Where do you source from? Q: From what level are you talking? Q: Do you recommend any other Gurus? A: I recommend all Gurus. You should choose the Guru that is best for you. All Gurus have value and purpose. Nothing on earth is ever wasted. Let us not compare Gurus nor ridicule them. If someone does not suit your constitution, please do feel free to leave him. If a Guru binds you to himself through fear or control, by all means, leave him. He is insecure. If any Guru does not bend you or bind you, and elevates you from the level that you are on, without adding any guilt or fear, that Guru is good and please be with him, in full surrender, faith and devotion. He will take you higher. Excellent article. Inspiring as ever. May Bhagawan Sri Sathya Sai Baba use you to help and guide more and more people! I feel blessed to be your friend. I am so grateful that God answered my prayer and you came into my life. Thank you very much for enlighting us………….. Thanks for the wonderful article.So many doubts have been cleared. You have mentioned that vegetarian food is the best and you have talked about avoiding milk and milk products. What about tea and coffee? Anything in moderation is fine. Any food that binds us and makes us dependent on it are anti-liberation. Coffee pumps up our system and it is unnatural, in that sense.Coffee gives a temporary sense of rejuvenation. Tea is more subtle. Herbal tea is even better. In short any addiction is bad. If you can stay liberated from all of it, while using it without attachment, everything is fine. All kinds of dependency are anti-liberation. I have recently come across your teachings after seeing you on SkandaVale Facebook. I am particularly thankful for your teachings on the Guru element. It is so exciting to find the unimaginably vast, tender yet tough love of my guru, in the most unexpected of forms. (I was actuallyprejudiced again st him at first, due to his personality and projection s on it!) I absolutely love . Your story of Vishnu, Sage Narad and . Lord Shiva as the Boatman Guru. It is true, have no opinions . 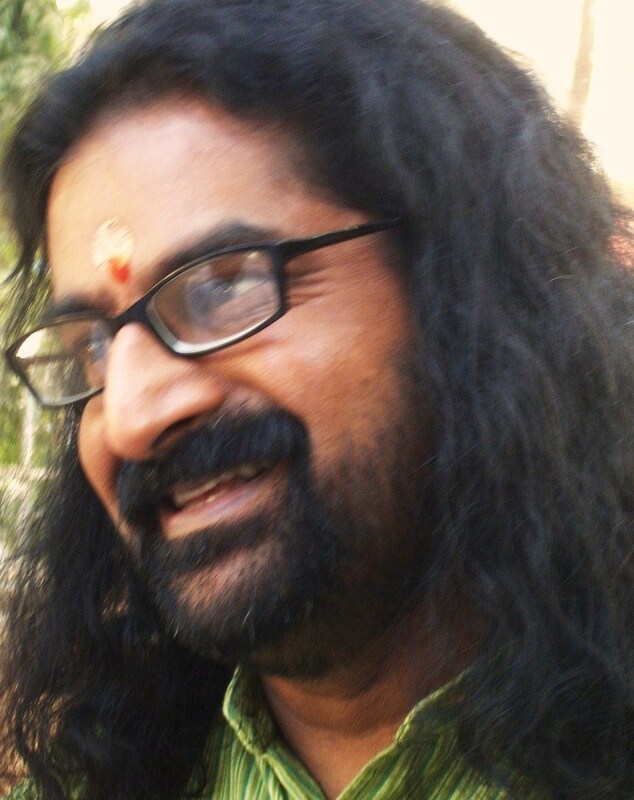 Of what your guru should look or be like, . Or you’ll miss him! 😉 Thank you for all your selfless service. Much love . Om Shanti.